DAVITA GmbH & Co KG was founded in 1996 and specializes in the development, manufacturing and sale of alternative medical products. In the field of Phototherapy, DAVITA is one of the market leaders in Europe. DAVITA products have been awarded for their excellent quality and performance in the past years by various organisations. The well known German consumer test organisation STIFTUNG WARENTEST rated DAVITA light boxes in it's test report 11/03 with the mark “GUT” and recommended them for the home therapy of winter depression (Seasonal Affective Disorder). Daily Mail rated the DAVITA LD 110 with 9/10 points the best light therapy unit within the test (see the test here). DAVITA cooperates with well-known scientists, doctors, clinics and experts in the fields of the various products. 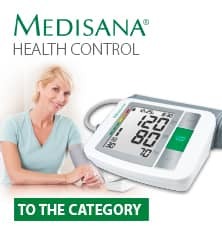 One of the company‘s principles is to offer only such instruments on the market which have undergone thorough testing to optimize the beneficial effects for the user and to exclude any damaging effects. The DAVITA Quality Management System is according to DIN EN 13485.